How To Send/Transfer Money To Friends/Family On Snapchat? If you ever need to send/transfer money to friends or family online, Snapchat has you covered with its Snapcash feature. If you regularly use online payment services like Venmo or Square Cash, Snapcash is a great nifty feature that lets you send/transfer money to your contacts from right inside Snapchat. If you don’t know already, Snapchat is an ephemeral messaging app used by tens of millions of people around the world and a leading teen social network. Snapchat has collaborated with Square Cash to bring the Snapcash payments service to its users. Using Snapcash is as simple as using text chat on Snapchat. So, lets go ahead and learn how to use Snapcash and send/transfer money to friends or family on Snapchat. Please note that the Snapcash feature is available only to US residents over 18 years with a verified US mobile number. How To Send/Transfer Money To Friends Or Family On Snapchat? 1. As said earlier, using Snapcash is as simple as using text chat. Just swipe into chat on the Snapchat contact you intend to send the payment to. 2. In the text chat window, type the dollar amount you need to send/transfer to your friend or family (e.g. $5). 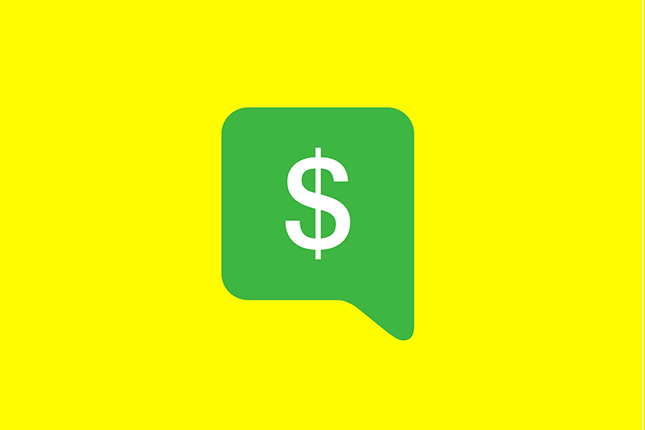 Snapchat detects the ‘$’ symbol in the chat window and turns the yellow send message button to green Snapcash button. Tap on the green Snapcash button and you have sent/transferred money to your contact. 3. If you are using Snapcash for the first time, Snapchat prompts you to link a MasterCard or Visa debit card to your account. All you need to do to link your debit card is enter your debit card number, expiry date, CVV and ZIP code. Once you have sent the money to your Snapchat contact, he/she receives a notification that a payment has been sent to them. The recipient needs to accept the payment within 24 hours by linking a debit card to his/her Snapchat account. If the recipient fails to accept the payment, the money will be returned to the sender’s account. You can always find all your Snapcash transactions, edit your debit card settings by going to your Profile Settings and tapping on ‘Snapcash’ under ‘My Account’. Owing to previous security and privacy issues on Snapchat, if you are worried about the security of your financial transactions on Snapchat, be assured that all your debit card information is handled securely by Square. Snapcash is a great feature from Snapchat that lets you instantly send/transfer money online to your friends or family without ever leaving Snapchat. Next post: What Do The New Snapchat Emojis And Numbers Mean?